Prices of real assets rose last week as property and land investors adjusted values to reflect the recent devaluation of the local currency. 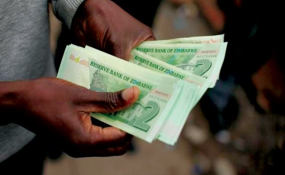 The introduction of the new local quasi-currency, RTGS dollar, brought with it the need to revalue assets for companies that had toed the official 1:1 fixed exchange rate policy line set by the central bank in November 2016. After the monetary authorities freed up the exchange rate and adopted an interbank managed floating system, prices of goods are also seen rising to reflect the new exchange rate between the two currencies as companies that had not raised prices in line with the parallel market rates take advantage of this opportune instance. This, analysts say, will stoke inflationary pressures. "On the inflation front, while most prices have already factored in the US dollar parallel market rate, a move to relax the exchange rate would likely see an upswing of commodities and services which were regulated and premised on the 1:1 exchange rate. Upward pressure on review on salaries and wages would increase inflationary pressures," Invictus Securities said. Property developers such as a unit of CFI Holdings, a diversified group on the local exchange, rebased outstanding amounts to reflect the latest devaluation. CFI, like many other companies, had been careful to toe the government's line of 1:1 parity between the US dollar and bond notes. Now, that has changed. At the markets, investors are also trying to make head or tail of the latest developments. But analysts do not see an additional stock rally, given the already high valuations on the local equities market. "The continued effort towards rebalancing the economy and market stabilisation should see market drivers slightly tilting from mainly speculative factors towards economic fundamentals. However, the country's negative perception, the renown of policy inconstancies and the prevailing political landscape and atmosphere remains a detrimental factor in restoring investor confidence," Invictus said. "A shift in unit of account from the USD to local RTGS has an implication of localizing the share prices, a move which can be repulsive to investment as returns which were premised on USD are now RTGS dollars, subjected to the prevailing exchange rate against the US dollar." Inflation to January rose to 52% from 42% in December. Investors had already priced securities in line with parallel market rates to a valuation of RTGS US$20,9 billion or around US$5,2 bn at the rate of US$1:4. At the official rate, the valuation is much higher at US$8,35 billion. On the first day of trade at the interbank forex market, the RTGS dollar traded at 2,5 against the dollar on Friday. In Friday's trade, the mainstream all-share index gained 0,5% to close at 152,9 points. This week, stocks were also in the negative, down in Tuesday's trade. On the upside, Mangudya has pledged to ensure dividends, capital gains and principal investments are remitted offshore. A biting foreign exchange shortage had seen a backlog of dividends and payments to foreign suppliers rising above US$600 million in recent years.